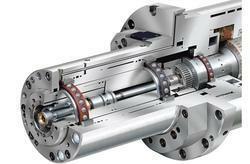 Our range of products include spindle. We are the leading manufacturers and trader of Spindles and our product is made of good quality. The offered products provide a highly superior functionality. It's reasonable pricing, longer life and high resistance to corrosion, makes one of the first choices in the market.